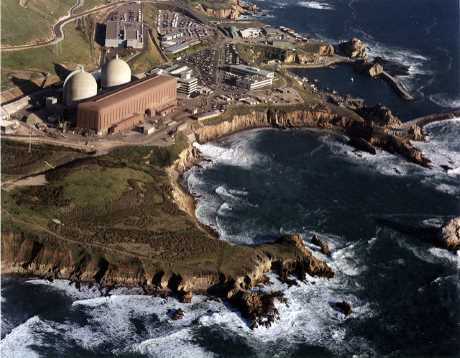 The Californian Public Utilities Commission (CPUC) yesterday approved Pacific Gas & Electric's (PG&E) request to retire the state's only operating nuclear capacity - the two-unit Diablo Canyon nuclear power plant - by 2025. PG&E in August 2016 filed its application to retire Diablo Canyon at the end of its current operating licences, which expire in 2024 for unit 1 and 2025 for unit 2. The CPUC's five commissioners yesterday unanimously approved a revised version of the joint proposal for the plant's closure that was put forward by PG&E together with labour and environmental organisations. The CPUC authorised PG&E to recover in rates $241.2 million in costs associated with retiring the plant, $211.3 million to retain employees until the plant's scheduled closure, $11.3 million for the retraining of workers, and $18.6 million for expenses incurred for the renewal of the units' operating licences. The commission did not approve PG&E's proposals for the procurement of resources to replace Diablo Canyon's output, after deciding that this should be addressed in the CPUC's separate planning proceeding on electric procurement policies and programmes. It also denied a request for $85 million from ratepayer funding for a community impact mitigation programme, citing the absence of express legislative authorisation. The regulator said PG&E "may choose to use shareholder funds" to support the programme, which would aim to mitigate some of the adverse economic impacts to the residents of San Luis Obispo resulting from Diablo Canyon's retirement. "Diablo Canyon has been a source of reliable and clean electricity - and employment - in San Luis Obispo for many years now. But the plant is no longer economic," CPUC President Michael Picker said. "We looked hard at all the arguments, and the Commission agrees that the time has come. We have laid out a fair and reasonable pathway to clean power replacement, as well as a programme for retaining skilled workers over the course of the next seven years," he added. PG&E said the joint proposal represented a "significant milestone" California's clean energy planning. "We appreciate the CPUC's thoughtful consideration of this complex issue and its approval of certain elements," the company said. "While we are disappointed that they did not approve the full employee retention programme, as well as the community impact mitigation and energy efficiency programmes, we are appreciative that the CPUC took the positive step to increase the amount of funding for employee retention beyond their original proposed decision," it added. The parties to the joint proposal - including the International Brotherhood of Electrical Workers Local 1245, Coalition of California Utility Employees, Friends of the Earth, Natural Resources Defense Council, Environment California, California Energy Efficiency Industry Council and Alliance for Nuclear Responsibility - agreed to support PG&E in obtaining state approvals to enable Diablo Canyon to operate until the end of its current licences, in order to avoid an early shutdown and allow time to plan for the replacement of the plant's output with a portfolio of energy efficiency and renewable energy. "The joint proposal represents an array of interests from many parties who joined together to promote the best path forward for our state and PG&E's customers. Since the full proposal was not approved, in line with our agreement, PG&E will be meeting to confer with our labour, community and environmental group partners in the days ahead about the decision, our next steps and the path forward," the company said. Diablo Canyon's two pressurised water reactors (PWRs) entered commercial operation in 1984 (unit 1, 1138 MWe) and 1985 (unit 2, 1118 MWe). They are the only remaining nuclear capacity in California following the premature retirement in 2013 of units 2 and 3 at Southern California Edison's San Onofre plant. San Onofre unit 1, a single PWR, operated from 1968 to 1992, while the single-unit Rancho Seco PWR plant was closed in 1989 in response to a local referendum, held shortly after the Chernobyl accident in Ukraine. An analysis published in January 2017 by the Environmental Progress research and policy organisation found carbon emissions from California's electricity generation to be two-and-a-half times higher today than they would have been if the state had kept open nuclear power plants forced to close prematurely and not abandoned plans for new units. Environmental Progress President Michael Shellenberger last year announced his intention to run as an independent candidate for the governorship of California and has pledged to reform the CPUC.